Dealing with getting dropped from the team. This original post was written after Hope Solo’s suspension from the USWNT squad but seems most relevant after yesterday’s ( May 16th, 2018 ) announcement of the England squad in which Joe Hart, England’s undisputed first-choice goalkeeper in the past three major tournaments was left out of the squad to go to the World Cup in Russia this summer. For Joe Hart, this is a double blow as he returns from his second loan spell with an alternative club as his Manchester City coach, Pep Guardiola elected not to use him and brought in alternative goalkeepers. e lessons learned from being dropped from the team in general and in more realistic terms in youth soccer, the recognition that you may no longer be in favor, and finding that playing time is being reduced or that another goalkeeper seems to be the favorite. Some reasons why a coach may drop you. Your head is not right! – You are distracted and focus is not as it should be. This often leads to distracting others in training and during games or not being responsive. Persistent small infringements that undermine the coach. Turning up late, wearing the wrong uniform, talking when the coach is etc. Playing time needs to be given to another player in order to keep up the strength of the squad. a) Making sure the player being dropped is the first to know. b) Informing the team of the decision and the reason why. If you have been dropped you are likely to go through a range of emotions. It is for that reason that the coach should let you know in a confidential setting to allow you to react. Anger, disappointment, rejection, and frustration. Be aware that any confrontation with the coach when feeling these emotions may not do you any good as you are likely to not be thinking rationally. The reason a coach should be dropping you should hopefully be for your own benefit ( in the long term ) and for the benefit of the team. It is important that the coach is honest with you. Ask for specific reasons as there may be a disparity between perceived performances. Your coach should give you a clear avenue as to how to get back into the team. What needs to be done? What measurements of success can there be? These may be static targets such as not being to blame for a goal this week, or they may be moving targets such as, you must be more consistent than the player that is taking your place. Respect is an important trait for both a player and the team, and hopefully, a coach would have instilled a good team ethos so that if anyone is dropped they are supportive of the team rather than sulk or snipe at fellow players or the coach. Click here to see the steps you should take to get back on the team. What would give you top marks ? 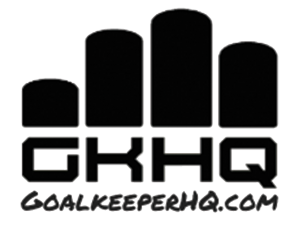 ( linked to technical parts of the goalkeeper’s game) but read others that this page links to.